Napoleonic relics (1901). See below. 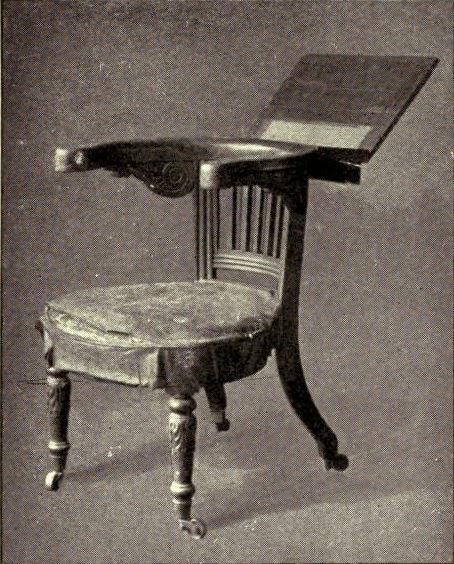 Voltaire's "Library Chair", which had extendable arms and an adjustable book rest, used to be exhibited prominently at Madame Tussaud's. 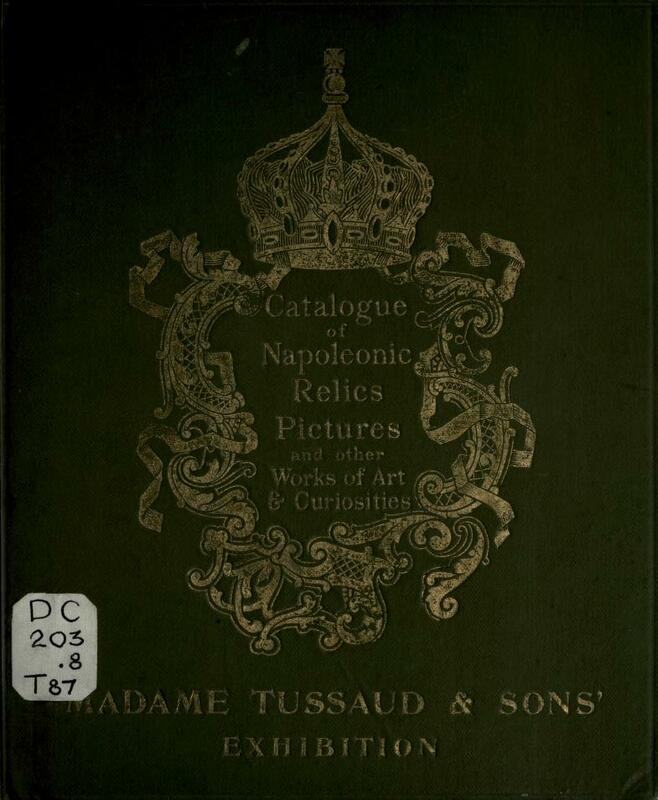 It was purchased, interestingly enough, from the collection of Lady Morgan (perhaps on her death in 1859?). A replica of the chair found its way into the library of Czar Alexander II; and featured in a picture published by a London paper at the time of his assassination in 1881. Sadly the chair would have been destroyed in the fire which devastated Tussaud's Marylebone premises in 1925 and completely gutted the Napoleonic Rooms.